Yesterday morning I planned to wear my Vibram Five Fingers while driving to class and then change into my Dansko clogs before heading into the building. But when I got to school, I couldn’t make the change. My feet have been so sore lately that I just couldn’t bring myself to put on shoes that I knew were going to create more pain when I didn’t really need to. So, I kept the VFFs on and made my way to my classroom. Now that the initial embarrassment of everyone recognizing my “weird” shoes is over, I will not hesitate to wear them to this class the rest of this semester. (Too bad I can’t wear them to all my classes.) My feet are just happier in them. *I mentioned that my right VFF has a hole in it that can’t be repaired. It is getting worse, but for now I taped the inside of the shoe with duct tape and it seems to be doing the trick. Also, according to Weather.com, the last few mornings it has “felt like” 25 F outside when I head out for my walk. I have been surprised that my feet are handling the cold in these very light shoes. When I get home, my feet are about as cold as my hands with gloves, which have also improved. Not bad. My Raynaud’s syndrome has definitely improved over the last few years. Perhaps this improvement comes from diet, contrast showers, or possibly from the medications. Whatever it is, I like it!!!! I'm sure your students enjoyed your shoes and I know your feet did. Here's hoping Santa shows up with a new pair at Christmas! They did seem surprised (in a fun way) Carla. I have a new pair on my Xmas wishlist. We will see if I have been good enough this year! The most comfortable of all my 50+ pair of shoes are my Asics Kayano 17 sneakers. 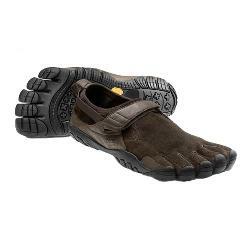 Being extremely light-weight, they provide support without restricting/hurting my feet. The downside: they are not dressy enough for work and not appropriate for Minnesota winters. I recently bought a pair of wool-lined Rieker booties that have kept my feet warm and pain-free, even on 5-mile walks. Feet are different, I know, but you might want to give those brands a try. — Even bad girls deserve comfortable shoes!! Cathy: my son and his girlfriend have the same shoes or a version anyway and they both run in them. I wondered about them but my feet and toes are so distorted now I think they would probably hurt at this point…. So glad you got to wear your VFFs at school! I was self conscious when I started wearing mine at work, but got comments similar to yours – people are intrigued! I also got my doc to say they were necessary – like a cane or wheel chair – so work couldn't object – maybe that approach would work for you. Hope your feet get happy again quickly. Gisela, thanks for the shoe idea. I always love when people share what works for them so I can check them out as a possibility for me. Nan, one of my toes is a little wonky and some days they don't want to fit into anything. However, most days the VFF seem to straighten out my hammer toes. Susan, thanks for your continued support and encouragement in wearing my VFF all the time. Deb, I teach for two different schools. One is a community college and there is no problem with wearing my VFF. In fact, my manager is awesome about checking in on me and my RA. I know she would make any accommodations necessary for me. However, the other school I teach at is a for profit school and the management does not provide a supportive environment by any means. I do have a note from rheumy to wear open toed shoes but feel like the VFF might be pushing it too far. As adjunct faculty, all they have to say is that they didn't have an open position for me this semester. I have seen it happen many times with people for coming up against management. Not right, I know. But it is reality. Putting my energy into fighting the shoes I wear isn't where I want to put my energy right now. Instead it is going into finding other ways for me to make money so I can get out of this one environment.